Talbotville springs to mind; once a small mining village on the edge of the Crooked River, it is now a large cleared grassy expanse to set your rig up on. The best way into this enclave is via the small township of Dargo and then head onto the dirt of McMillans Road to the deserted mining town of Grant and down the narrow (very narrow in parts) winding road to Talbotville. While the road is generally pretty good it can be rocky and get a little cut up after heavy use and rain, and if you meet someone coming the other way, one of you will need to back-up a short distance. Further east, you can head along the Limestone Road from Benambra before taking the Limestone Creek Track to the grassy flats beside the creek just a couple of kilometres from the junction. You shouldn't have many issues getting this far, even though the initial few hundred metres may seem a little rough. Continuing on past the grassy flats will see you in some very steep mountain country, where I wouldn't be taking a van, or even a camper. Back closer to Melbourne, there are a heap of places north of Walhalla that are worthy of time well spent. We particularly enjoy O'Tooles Flat on the edge of the Donnelly Creek. Getting there is easiest via Rawson and the croswasing of the Thomson Dam wall before turning north onto the Walhalla Road. Then you turn onto the narrower Merringtons Track for the descent and a few tight turns before crossing the Aberfeldy River at The Junction, where there are a couple of pleasant camping spots. You turn onto the Donnelly Creek Track for the last few kilometres to get you to O'Tooles. Refer to Hema Maps The High Country Atlas & Guide for more. The main road to Weipa is generally, in the Dry season, a doddle these days and the word is it will be bitumised by 2020. Further north, the main access bypass roads to Bamaga and The Tip can be badly corrugated, but apart from a couple of creek crossings early on, shouldn't be an issue. Elsewhere, especially on the tracks on the western and south-western side of the Cape, the travelling can be challenging with deep long sections of bulldust and corrugations. 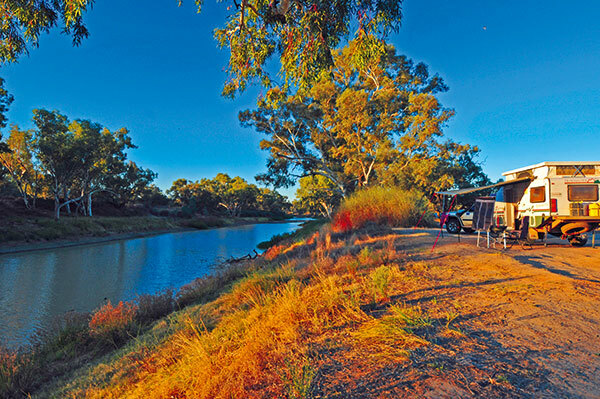 You won't have any trouble getting into the fabulous campsites of Rinyirru (Lakefield) NP or with a bit more effort accessing the camping areas at Bathurst Head or along the nearby Marrett River. Accessing the Bathurst Bay/Cape Melville area is a bit harder with some shallow swampy sections in the early Dry and lots of deep soft sand in the late Dry season. The rainforest delights of Iron Range are accessed by a good dirt road that crosses a few rivers (shallow in the Dry) and winds through rich verdant rainforest. On the coast is Chili Beach and your biggest challenges here, will be low branches and short sections of soft sand. Refer to Hema Maps Cape York Atlas & Guide for more. The Pilbara is often overlooked by adventurous travellers heading for the Kimberley or Northwest Cape. 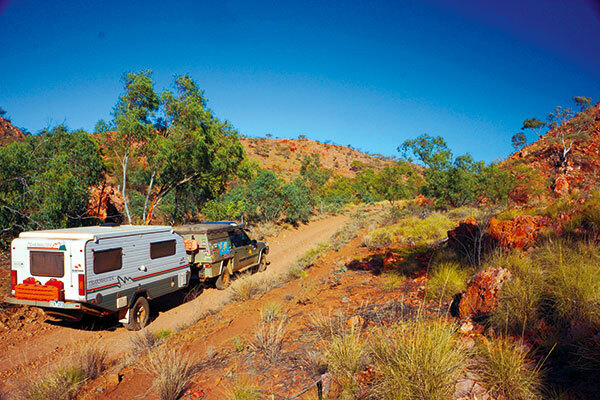 But the region offers rich red and rocky ranges, trickling creeks and streams, and campsites far less populated than either the Kimberley or NW Cape. We particularly enjoy the region around Newman to Marble Bar. Close to Newman is Weeli Wolli Spring, Eagle Rock Pool, Kalgan Pool, Punda Art Site and Rockhole and the Hickman Meteorite Crater only discovered in 2007. With rocky, eroded narrow two-track leading to most of these sites, or for at least part of the way, the going is slow while the creek and gully crossings are steep and short and may be an issue for longer rigs. Get the latest access info from the Newman Visitor Centre, as the tracks often change due to the mining going on around here. Further north, around Marble Bar, WWII history buffs can take the track out to the Corunna Downs Airfield, a 'secret' airstrip that during the height of WWII saw RAAF and USAAC, flying heavy bombers on long range missions against Japanese bases and shipping in what was then the Dutch East Indies. There's some camping along the edge of the creek nearby. 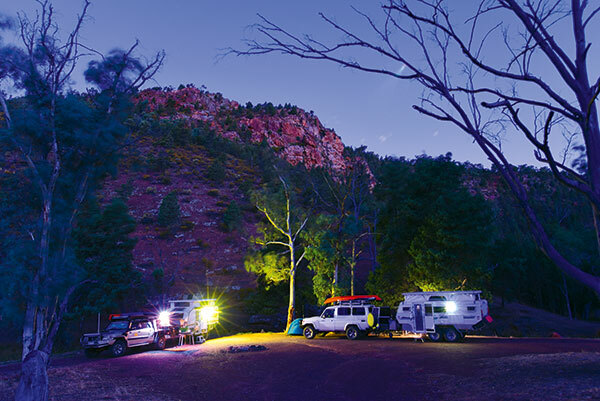 In the central Flinders, wind your way down through Bunyeroo Gorge to Brachina Gorge and find a fabulous campsite along the way or in the more formal camping area of Aroona Valley within the Ikara-Flinders Ranges NP. You'll also find some pleasant camping amongst the bluffs and peaks of Parachilna Gorge, a little further north and outside the park. Getting more remote but with a modicum of comfort on hand and easy access, is the Arkaroola Resort and Wilderness Sanctuary in the northern section of the ranges. Just to the west of here is the ruins of Yudnamutana Mining operation, reached by a narrow track that winds through the hills crossing numerous rocky creeks along the way. It can be eroded and washed away the closer you get to the old mine, but there is some decent camping out here and we've yet to be bothered by anyone else when camped here. 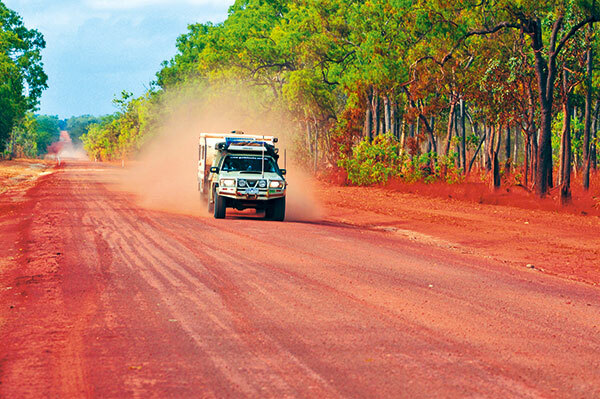 This route from the SA-NT border at Mt Dare to Timber Creek in the far north-west of the Territory, covers over 2200km of bush tracks and dirt roads. Such a route crosses diverse country, vegetation and habitat, ranging from the fringe of the Simpson Desert to the rugged escarpment country of the more well watered regions of the tropics. The tracks and roads also vary a lot in both what they offer in a form of a challenge, as well as changing from year to year; depending on what the previous Wet season has dished out, when the graders were out last, and how much traffic the route receives. The route north from Mt Dare first cuts across the Finke River flood out country, which can be deep in bulldust, before arriving at the historic not-to-be-missed Old Andado station. From there, the route north parallels one of the great sand ridges of the Simpson Desert and while the track is easy enough, it may have some soft or washed out sections. Through the Arltunga goldfields region to Gemtree, the route is mainly gravel and from there, north to the Iytwelepenty/Davenport Ranges, it mainly follows station tracks and the like, with a few wide sandy creek crossings thrown in for an authentic adventure. 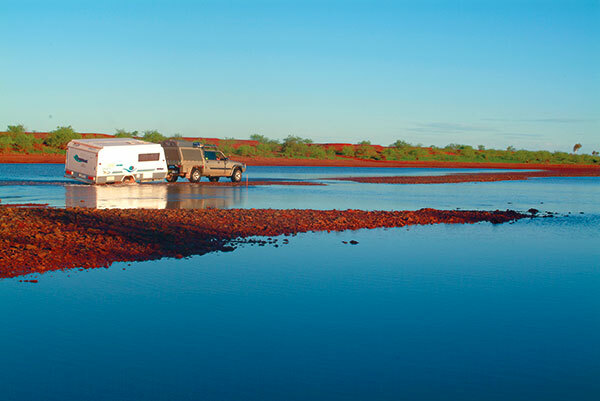 We particularly like the area around the Iytwelepenty/Davenport Ranges as there is some great camping, lots of history and a bit more water than you would expect when thinking about Central Australia. The Corner Country of NSW, Qld and SA is a fabulous destination for those looking for a genuine outback experience without having to spend half your holidays driving across the continent to get there. We always like starting our Corner Country trip in Broken Hill and then head out to Silverton before hitting the red dirt for the drive north, on what is an access road for the sheep and cattle properties out this way. At one stage, the route parallels the famous Dog Fence, which is about the only place you can really get to the fence and travel close to it on a public road. If we haven't stopped before, we'll prop for a time at Milparinka and you can easily spend a day or two here, before heading via backtracks to Tibooburra. 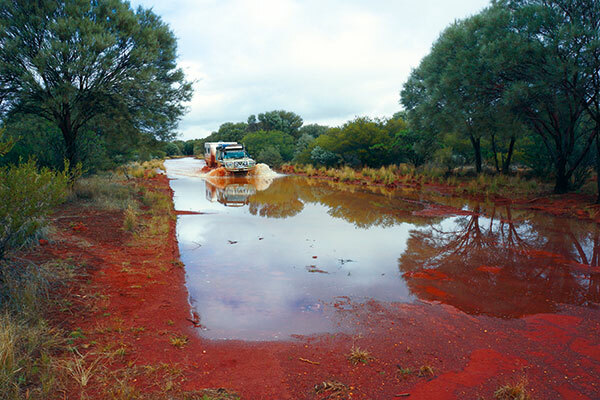 There are a number of places worth visiting in the nearby Sturt NP before heading to Cameron Corner and taking the roller coaster ride to meet up with the Old Strzelecki Track, for the drive north to Innamincka, on the banks of Cooper Creek. With long stretches of water, shady red gums and a good pub and store, you'll find it hard to tear yourself away from this oasis with all its history and attractions. Swinging back south and staying away from the bitumen you can head for Epsilon and Santos stations before crossing back into NSW and taking the back roads to White Cliffs and Mutawintji NP. Refer to Hema Maps, Great Desert Tracks Atlas and Guide. 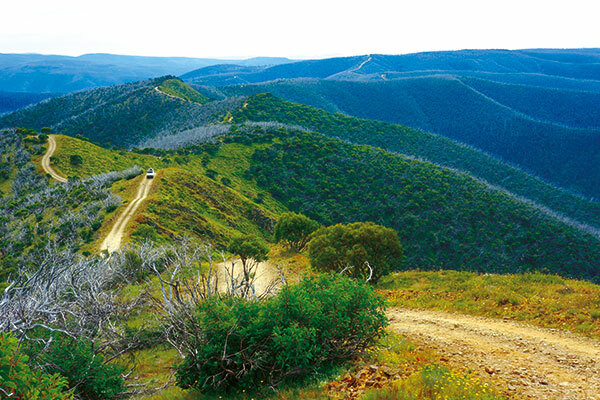 Tassie is a caravanners nirvana with many delightful places to see and experience. With nothing ever very far away, it is an ideal region to find a base camp at some semi-isolated spot and then explore the local area and take on the challenges of the many tracks the Island State has to offer. Our favourite region of Tassie is its fabled West Coast. Savage and untamable, this coast of Australia has a raw splendour about it that attracts hardy souls willing to brave the strong winds and cool waters of this coast, that boasts some of the cleanest air in the world and some of the highest rainfall in Australia. We particularly like heading west from the small hamlet of Stanley on the north coast and then south from Arthur River. Near the fishing hamlet of Couta Rocks, you can head down the Western Explorer Road, which is a good gravel road to meet with the blacktop near the ferry over the Pieman River. Still, before you do that, set up a bit of a base camp somewhere around Couta Rocks or Temma, our favourite being the grassy patch at Sundown Point where the coastal dune and tea-tree gives some protection from the wind. 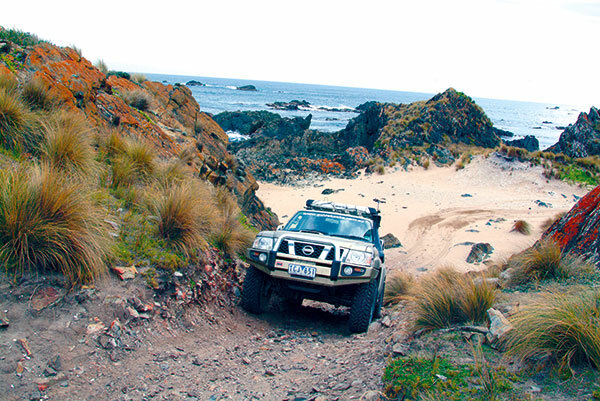 Refer to 4WD Tracks in Tasmania.